A few weeks after the announcement of Super Mario Run, Nintendo is preparing the release of a new title from Fire Emblem series for mobile devices. In fact, it has long been known that the Japanese giant would choose this game to attract new players of smartphones and tablets. The game in question is Fire Emblem Heroes, and will make its debut the same day in the Google Play Store (not as Super Mario Run) and in the App Store, on February 2. The official website confirmed the launch and made available to users several screenshots and all the languages ​​in which the game will be available for now. 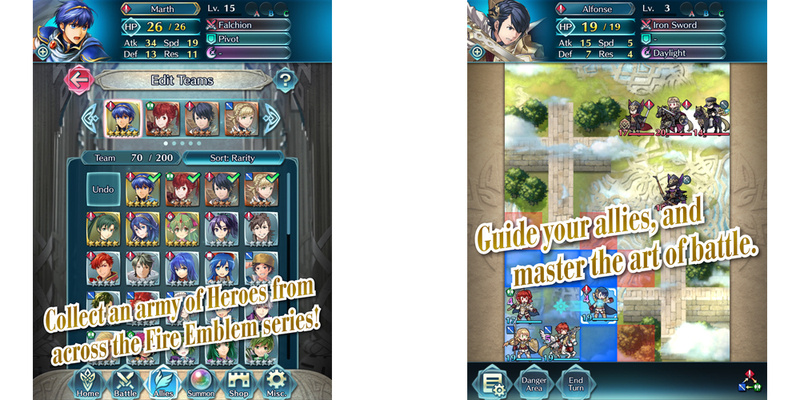 Fire Emblem Heroes consists of driving your army with all the touch controls of your smartphone, including the ability to attack only with a hero against an enemy hero. If you can defeat all enemies on a given map, you get the victory. The heroes will be represented by artistic drawings made entirely by hand by several illustrators and their voices have been recorded from scratch. The storyline of Fire Emblem Heroes is as follows: to save Askr's kingdom from destruction, you must use the ability to summon legendary heroes from different Fire Emblem worlds. This is essentially a strategic change made especially for mobile devices. Each hero will evoke a color that will determine the advantages and disadvantages against opponents; each player must take advantage of these characteristics to win in the fight against opponents. In addition to the arrival to smartphones, Nintendo announced that various games of the Fire Emblem series are also under development. Fire Emblem Echoes: Shadows of Valentia is one of them. The download of the Fire Emblem Heroes will be free, but obviously will present optional purchases in the app. Meanwhile, Nintendo has already opened the pre-registration for the Fire Emblem Heroes in the Google Play Store. 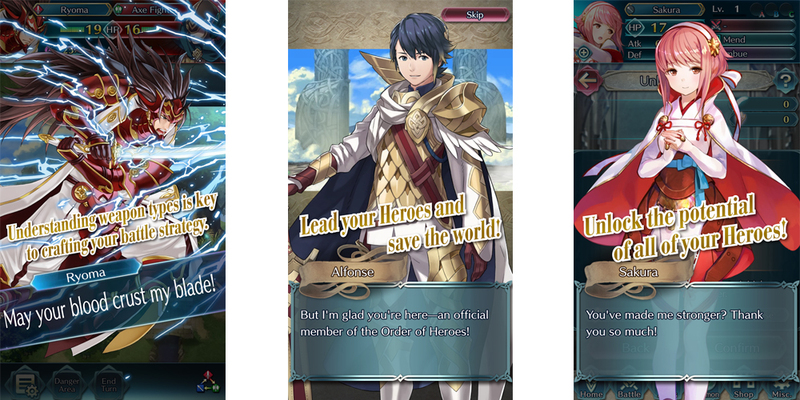 We leave you several images of the screenshots and the link to the Fire Emblem Heroes trailer, and also another link with several seconds of gameplay. At the moment, this is what Nintendo offers until the day we will be able to download the game officially.